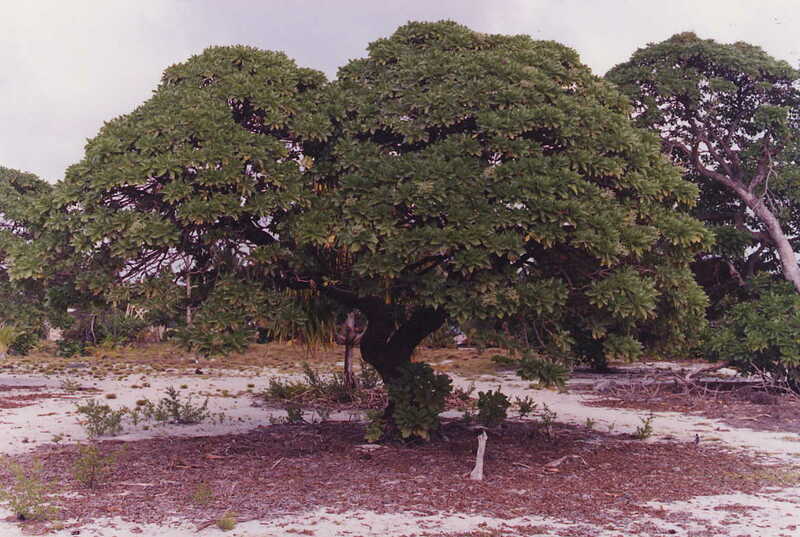 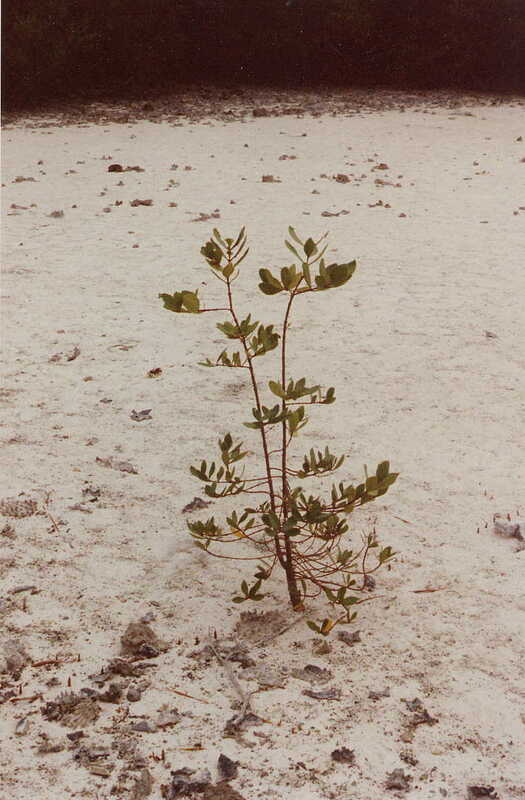 Newly established mangrove on the lagoonal sand- and mudflat off Aelon Eo Islet, Nadikdik (Knox) Atoll. 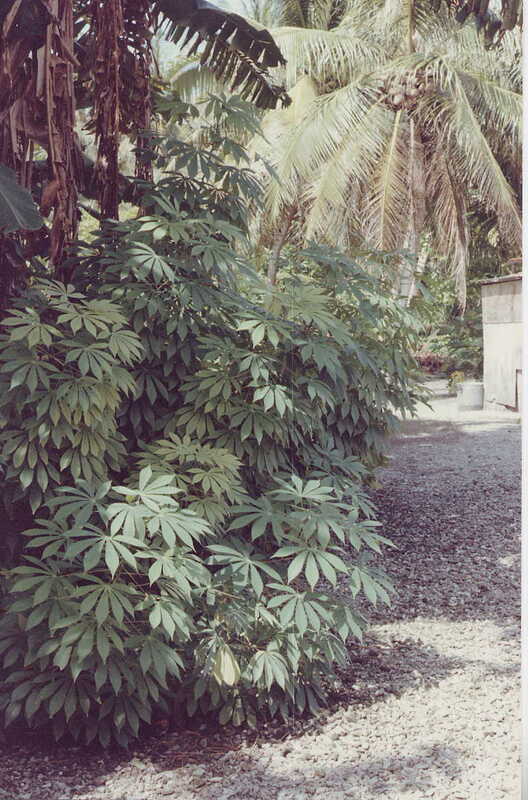 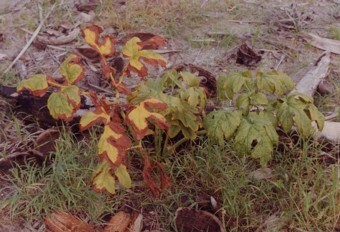 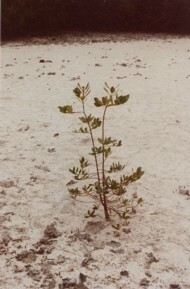 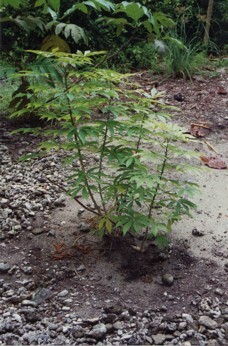 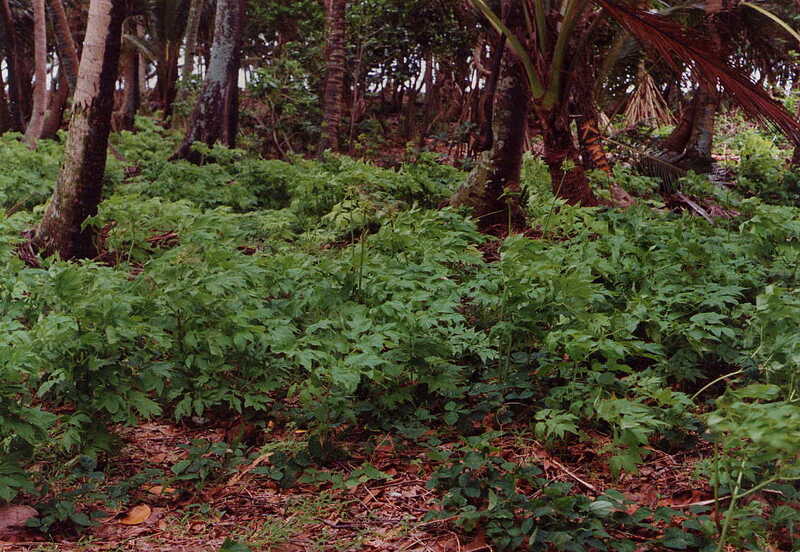 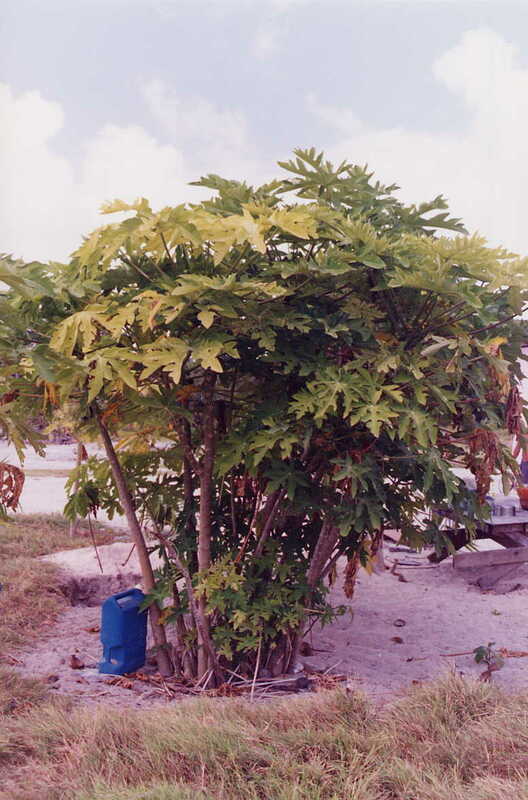 Cassava growing in sandy soil on Ebon Island. 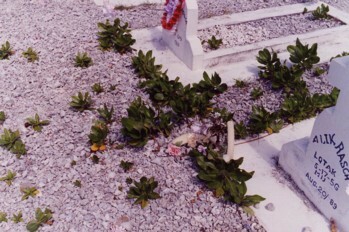 Scaevola sericea growing at the cemetery. 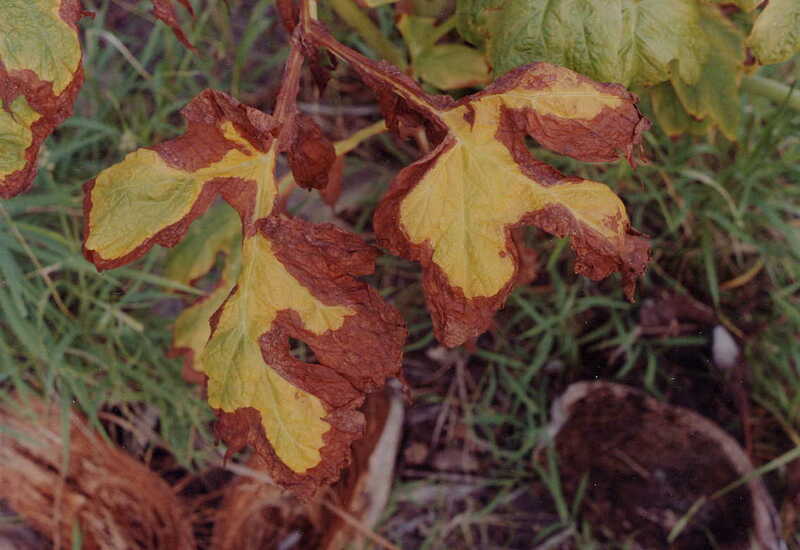 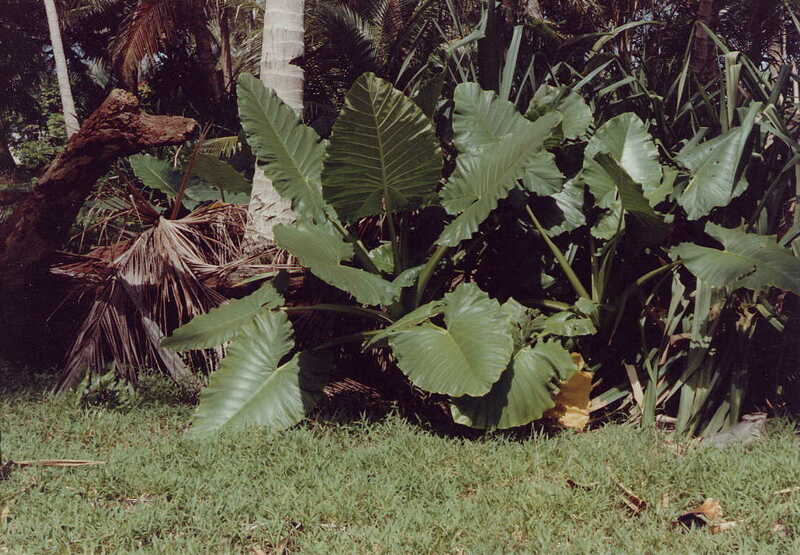 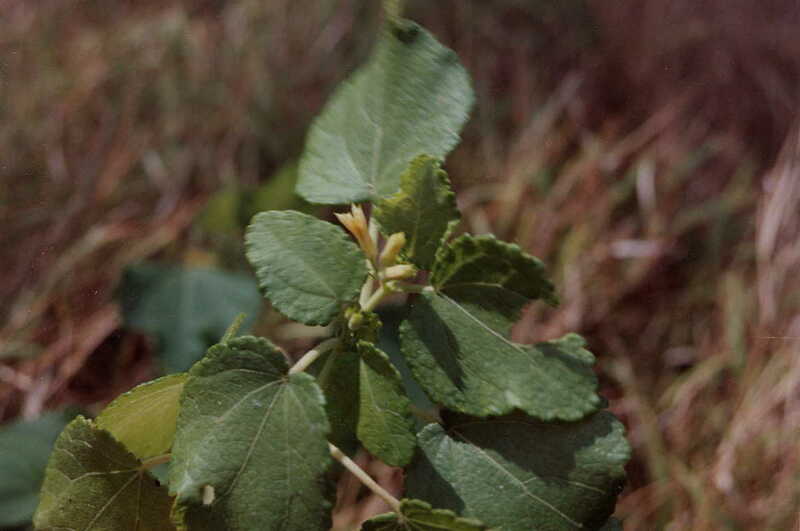 Given that the burials occurred in the mid 1980s, this niceley demonstrates the colonising potential of the plant. 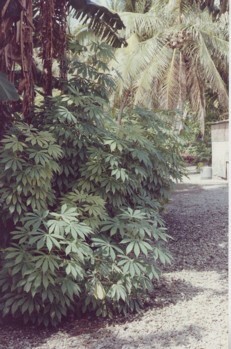 Photograph taken in January 1993. 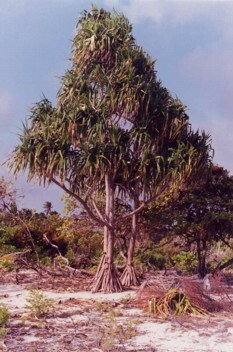 Lagoonal beach of Mejatto Island. 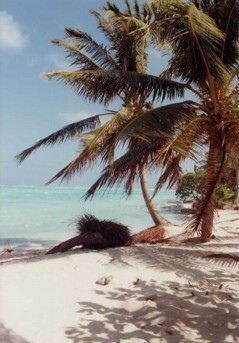 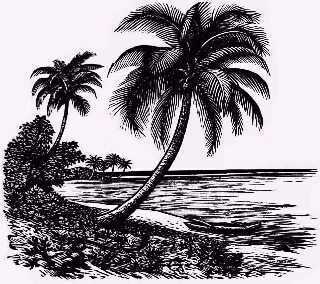 The shoreline is subject to variations as evidenced by the fallen coocnut palm. Well establishedPandanus tectorius on Mejatto. 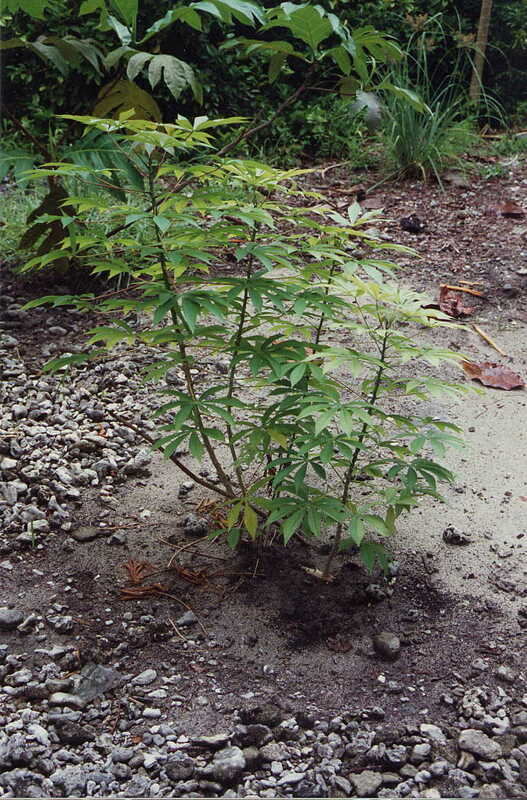 Payaya planted on Mejatto. 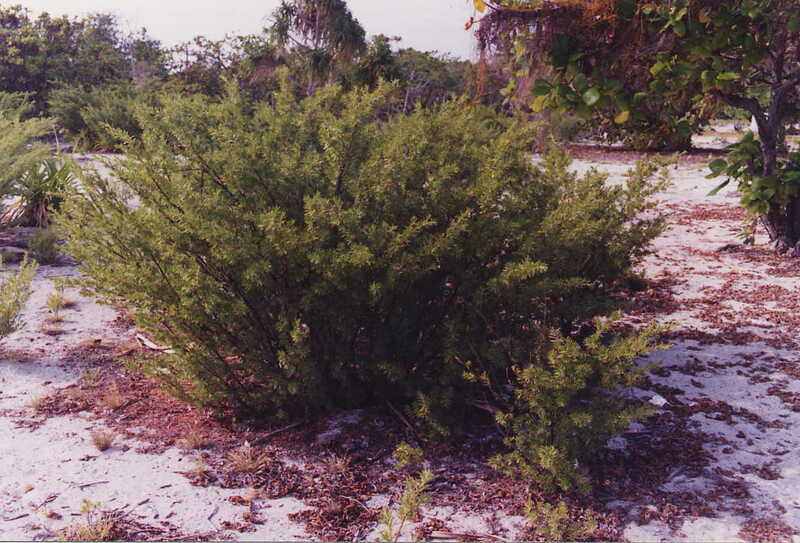 Note the dense planting. 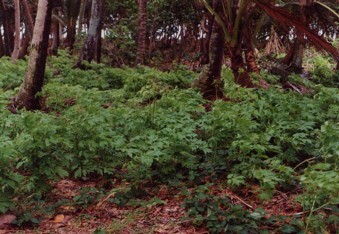 A dryland taro patch under beadfruit on Mile Island. 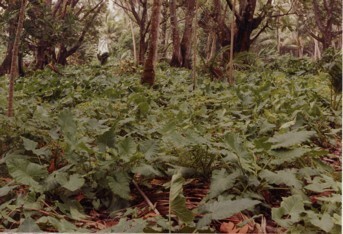 Swamp taro on Mile Island.